Loving Garland Green will host their monthly speaker's meeting this coming Monday, July 25. 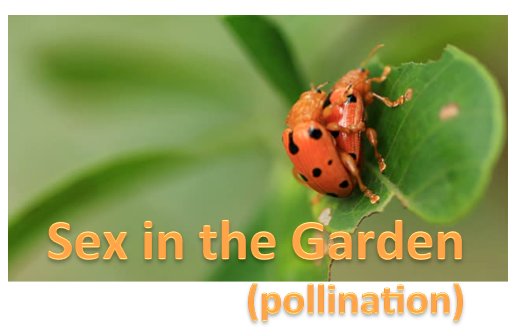 The topic will be pollinator reproduction. 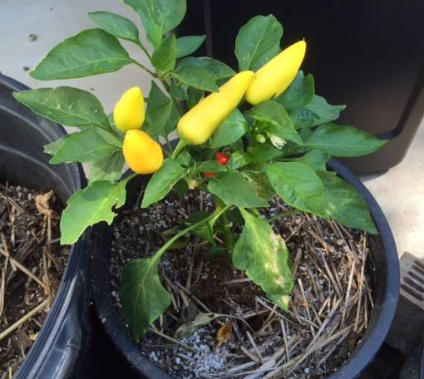 Janet Smith, Dallas County Master Gardener will be the speaker. 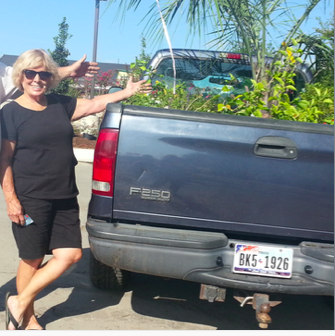 Janet is the Dallas County Master Gardener coordinator for the White Rock Lake Community garden. You can expect a lively and informative presentation from Janet who, as her slides will attest, is also an accomplished photographer. Common Milkweed (Asclepias syriaca) grows along the sides of Hwy 22 from Davenport to Muscatine, Iowa along with many beautiful wildflowers such as wild bergamot. 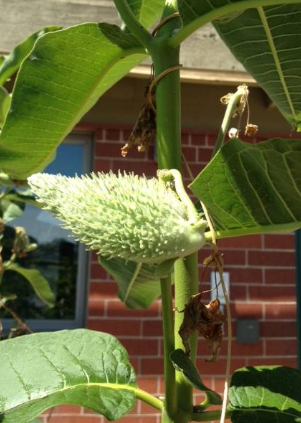 The milkweed grows to over six feet tall. On a recent trip to the Quad Cities in southeastern Iowa/southwestern Illinois, I was surprised to see milkweed growing everywhere--on vacant lots within the cities and along the country roadsides. The most common variety we saw was the Common Milkweed. However, some gardens also supported Asclepias tuberosa (which looks a lot like Tropical Milkweed) and also Swamp Milkweed. 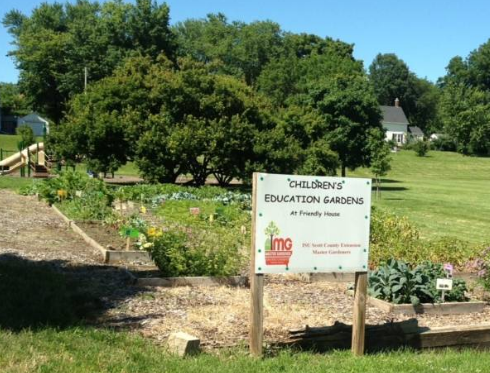 We saw several community gardens on a recent visit to Iowa. Most of the gardens were managed in participation with the county extension and local parks and recreation department. Davenport, Iowa has a population of 102,000. Throughout this city and others located in the Quad City area (382,000) there are many community gardens and lovely parks. The Davenport Community and Economic Development Department works with individuals and groups interested in starting community gardens at any of the roughly 170 empty city-owned lots throughout town that are suitable. In nearby Rock Island Illinois there are 70 vacant lots available. Gardeners must till the land and provide water. In Davenport, the city provides the water for the gardens. Quad Cities Community Gardening was established in 1997 as a nonprofit organization called "The Garden Growers" with a mission to develop and support community gardening programs that promote education, social interaction, vegetable gardening and beautification in neighborhoods. Its founding partners included Friendly House; Iowa State University, Scott County Extension; ISU Scott County Extension Master Gardeners; Davenport Parks and Recreation Department; and Friends of Vander Veer Park. After 14 years of existence as an independent organization, in spring of 2011, The Garden Growers became a permanent program of Iowa State University, Scott County Extension. Goose Hollow Community Garden - Davenport, Iowa. In Davenport, one of the Quad Cities, water is provided by the city at all garden plots. The annual fees charged for the plots vary according to the location. At the Goose Hollow Garden area there is a large plastic 500 gallon tank that the city keeps filled with water. Gardeners pay $10 a year for a plot that is approximately ten feet wide and 50 feet long. 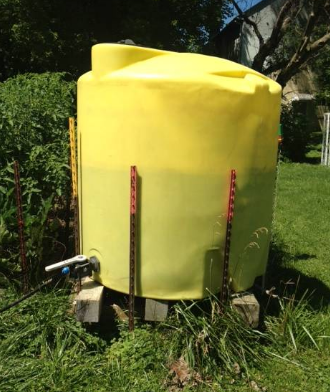 Davenport, Iowa--500 gallon plastic tank provided by the city at Goose Hollow garden. Dave Kinney--a dedicated gardener from Goose Hollow Garden. Dave has three plots at this garden. 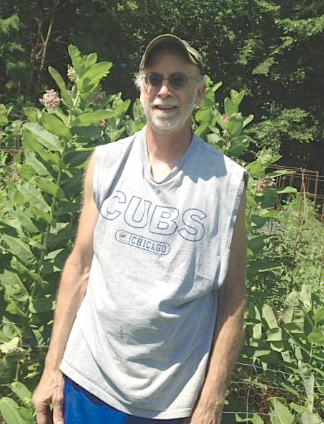 In the photo he is standing behind a six-foot hight stand of Common Milkweed in one of his plots. In existence since 1896, the Friendly house has been responding to the needs of individuals and families through programs and services to enrich their lives and neighborhoods. It was founded in Davenport, Iowa. Since 1896 it has been a haven, a social center, giver of counsel and extender of the helping hand. Like all the other community gardens we saw in this area, the Friendly House Garden had healthy stands of common Milkweed along with the vegetables they were growing. 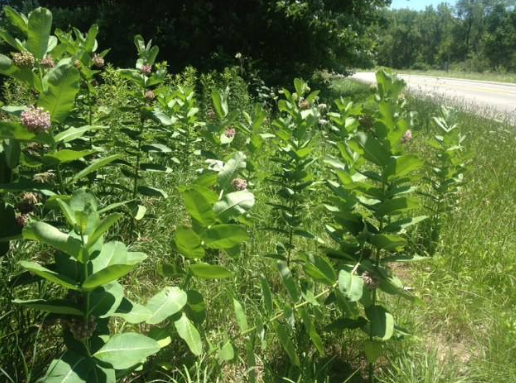 As you can see from the photo below, one of these milkweed plants was already making seed pods. 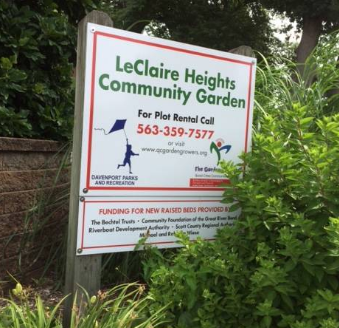 The Davenport Parks and Recreation Department has 36 plots for rent at LeClaire Heights Community Garden located at 7th and Farnam streets. The plots will be tilled by May 1 and water is available on-site. A rental agreement stipulates several requirements, including the requirement to keep one's plot weeded and to grow nothing illegal. - 10-by-10-foot plots are $35, plus a $20 refundable deposit. - 4-by-16-foot plots are $40, plus a $20 refundable deposit. 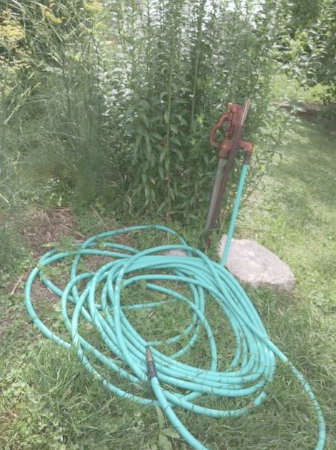 Water source for the LeClaire Heights Garden is a well. 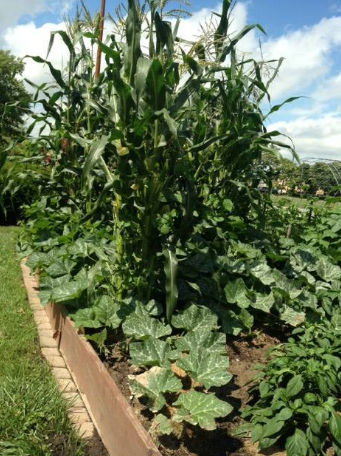 This garden is located at the Scott County Extension office at 875 Tanglefoot in Bettendorf, Iowa. It features plots all around the extension building. I would estimate about 1/2 to 3/4 of an acre total of small garden plots. One larger plot (about 6 feet by 40 feet) features native plants of Iowa. It is a beautiful mixture of wild flowers such as purple bergamot and Asclepias tuberosa, and native grasses. In 1957 twenty members of the Beautification Committee of the Moline Chamber of Commerce banded together to solicit funds for a building in which local gardeners would have a chance to display and view plants and flowers. Sections of this garden include: Children's Garden; Butterfly Garden; Daylily Garden; Greenhouse; Daylilly Garden; Herb Garden; Hosta Garden; Raised Beds (handicap accessible); Rose Garden; and the University of Illinois Extension Garden which includes Perennial Zone Test Gardens and a vegetable demonstration Garden. 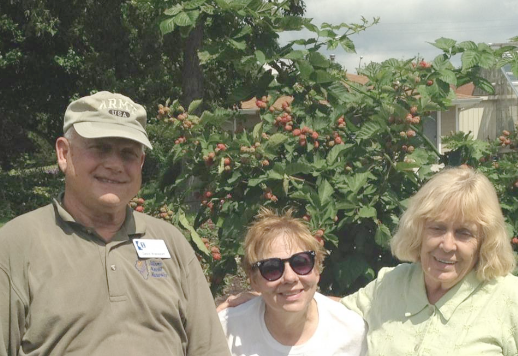 When Charlie and I visited this garden last week, we meet David and Jane Arendorf, both Master Gardeners, who were busy cleaning up the Extension Garden area managed by the University of Illinois Extension Department. Construction of the greenhouse shown below began in 2007. The $160,000 project was funded by private donations from two estates, Modern Woodmen, the Moline Foundation and the Friends of Riverside Park Gardens. This 2004 Ford F250 3/4 ton truck was stolen from the driveway of a home located at 216 East Kingsbridge Drive in Garland Texas (in the area near Naaman School Road and Hwy 78). The truck was likely stolen in the early morning hours (between 1am and 6am Sunday July 3). It belongs to a senior citizen who only could afford to carry liability insurance on it and who cannot afford to replace the truck. Unfortunately for the community of Garland this is the only truck available for hauling materials, plants and equipment to the Garland Community Garden. Let's Start a Revolution: Zero Tolerance for Theft! I've been mulling around for the past 24 hours, dealing with feelings of sadness, anger and frustration. I remind myself of that character from the comedy/drama film "Network" written by Paddy Chayefsky who stands up and shouts: "I'm mad as hell and I'm not going to take it any more." My thoughts are turning now to what one person can do to make this situation better. Car theft is a huge problem in the DFW area. The statistics in Garland are particularly dismal as 1 in every 360 residents can expect to have a vehicle stolen (Statistics from Neighborhood Scout). This is unacceptable behavior--on the part of the people who steal the cars as well as those who know about it and keep their mouths shut. We need to start standing up and standing together against crime. Any revolution in human history can be traced back to one person—often it is a person who is fed up with injustice and/or perceived injustice who decides to take action--however, futile it might initially appear to be. In so doing this person by example empowers others to do the same. Before you know it, change is knocking on the door. Please stand up with me on this one. THE FIRST GIVEN FOR THIS THEFT OF CHARLIE'S TRUCK: At least one person and more than likely several people other than the thieves and those who received this stolen property know who committed this crime. This is true for almost any crime that is committed. People who in no way profited from this crime have knowledge of who did it. I'm sure of that. So I ask myself: What can I as one individual with limited resources myself do to draw this person out and convince them to do the right thing for the greatest good by making this information available to the police. In no way by any moral standards can this theft be justified. It wronged Charlie and it wronged our community. Those who remain silent are in fact accessories to the crime. $200 Reward to the First Person who steps forward with information that leads to charges being filed against the thieves who stole Charlie's truck and/or leads to the recovery of the truck. I will personally donate $200 to this pot. I prefer that anyone with information regarding this crime to please call the Garland Crime Stoppers. Should your information lead to charges being filed against the thieves, I will give the $200 to the Garland Crime Stoppers and they can add it to their reward pot above the reward amount they are prepared to give. The thing about identifying the thieves who stole Charlie's truck is that you will be helping lots of innocent hard working people who are in line to have their vehicles stolen as well. Nothing succeeds like success. If we let thieves get away with their crimes, we only invite more. Thieves can paint cars and get new license plates but the truck has several other identifying features. Among other things, the windshield has a crack that runs all the way across the bottom from side to side and then up to one side. It does not interfere with the driver's vision but if you see a 2004 Ford F250 with a cracked windshield, regardless the color or plates, please call Crime Stoppers. We are not giving up on getting this truck back. Some trucks are hot, well this one is sizzling. We can even identify some of its parts as unique and traceable back to this particular truck and yes we will never stop looking. This truck is special. If you have information on this theft you may as well be the one to share it and make a few bucks. These people are going to be caught. MORE INFORMATION ON HOW TO CONTACT THE GARLAND CRIME STOPPERS-IT'S EASY! Calls are received at the local Crime Stoppers tips line phone, 972-272-TIPS, during normal business hours Monday-Friday. This phone is a stand alone instrument which does not provide caller ID, and conversations are not recorded. Garland's Crime Stoppers police Coordinator receives the information, completes the tips information form, makes initial inquiries and then passes the information to the investigating officer. Calls are accepted regarding any publicized request for information, such as "Crime of the Week" or such other crime(s) the caller has knowledge of. Charlie has expressed concern that people will feel sorry for him. Please don't. Neither of us are longstanding fans of pity. The only thing we are soliciting for here is the return of Charlie's truck and the apprehension of the thieves. He wanted to make that very clear. I totally agree with him. There are a lot of folks out there hurting a lot worse than Charlie. He is doing just fine and wanted to let you know that. I am soliciting for a community that has the courage to stand up to crooks and report crimes to the authorities--nothing else. As far as I'm concerned, there is no heroism involved in protecting thieves. To be perfectly blunt for which I am famous: No money or goods or donations for either of us. Give to the Crime Stoppers. Give to Loving Garland Green. Give to the Good Samaritans or other food banks in our community. Stand by your community. This 3/4 ton, 2004 truck did more for our local community than you might imagine. Above you see it fully loaded with plants from Covington's nursery. 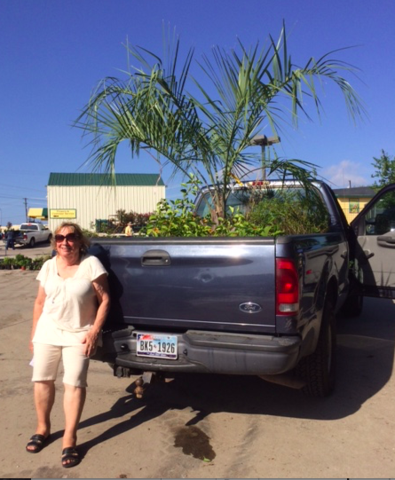 Because we had "Ole Blue" we were able to take advantage of a sale that offered "all the plants you can haul away" at summer's end in 2015. Many of these plants went to help establish a Butterfly Garden at North Garland High School. Even though the truck was owned by Charlie Bevilacqua shown on the left, it was used so much by Loving Garland Green that we thought of it as our truck. Now, with it gone, I don't quite know how we will manage. 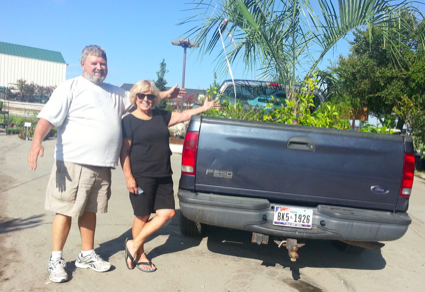 We used Old Blue to haul compost, mulch and produce to and from the garden. I called the truck "Ole Blue" and indeed it was a faithful as any hunting dog ever was. However, Old Blue, a good ole truck, did not die but rather was stolen from us by thieves who apparently didn't give a consideration to all the good the truck does for our community. I am afraid the faithful 3/4 ton, 2004 Dark Blue Ford truck that Charlie Bevilacqua owned is already in pieces in a chop shop somewhere this morning. Like most senior citizens, Charlie lives on a fixed income and cannot afford to replace the truck and no, he only could afford to carry basic liability insurance with no theft coverage. If you see this truck anywhere, please call the police immediately. The Garland number is 972-205-2018. Don't try to be a hero and follow it. If you find it abandoned, don't touch it. Again just contact the police. You stole more than just a truck. You stole a valuable resource that has a long history of helping the people in our community. Shame on you! Not only Charles Bevilacqua, one of the most generous and giving members of our organization, will suffer from what you have done, but all of our community will. You might even be able to make some money by turning the thieves in through the Garland Crime Stoppers. Yesterday Charlie and I delivered 23 pounds of produce from the Garland Community Garden to the Good Samaritans of Garland. This included 8 one-gallon bags of kale, two pounds of blackberries 12 pounds of tomatoes, two one-quart bags of okra, a bag of grapes, and several bags of basil, mint and lemon grass. We encourage all gardeners to contribute fresh produce from their gardens to the various food banks and charities in our community. Hunger Is the Biggest Problem--many people who have a roof over their heads are still going hungry because there is only so far a dollar can be stretched. When we were there, we also checked up on the container garden that is being maintained by Good Samaritan volunteers and some of their homeless clients--yes we have the homeless in our midst. If you think of the homeless as being alcoholics and drug addicts, you are partially correct. However the profile for the homeless is much broader than that. For example, it also includes mother and children. Organizations like the Good Samaritans help these people to find jobs and homes. Sometimes, due to the shortage of available resources, all they can provide is food to eat and a place to clean up in the back by a water faucet. The recession that begin in the fall of 2007 may not have touched you or your family, or you may be among the few who have recovered financial losses you may have sustained, however, there are still thousands in our DFW area who will once again tonight have no roof over their head. Even though the homeless are often the extreme public face of inequality and food insecurity in the USA, hunger impacts many millions more people than homelessness. I first became aware of this at my 10th high school class reunion. I grew up in a small West Texas town where I mistakenly thought everyone was the same—no family was exceedingly wealthy and no family was exceedingly poor. We had no people in our community who slept on public doorsteps. Hunger, as I learned from a classmate, was alive and well in the shadows of my hometown. My classmate told me that she often brought two slices of white bread for lunch as a ‘sandwich’ along with a thermos of water. Yes, literally bread and water was her lunch for most of the days out of each month. She always ate her lunch away from the rest of us with her younger sister. Even more recently, right here in Garland, I visited hunger face to face on a daily basis as I was campaigning door to door in 2012. I came into people's homes and talked with them about what they wanted from political representation in Washington. It was an eye-opener for me--particularly when it comes to the needs of the elderly. For example, one man, living on Social Security, told me that to make ends meet, the last week before his check arrived he lived on peanut butter and crackers and water. He was reduced to these extremes because of his monthly pharmaceutical costs. 1 in 6 Americans live on incomes that put them at risk for hunger. Over 14 million American children rely on food banks for assistance. Food insecurity exists in every single county in the United States--including Dallas County. A report from the U.S. Conference of Mayors found that only 11% of those requesting emergency food assistance were homeless. In 2011, more than 31 million children lived on incomes that qualified them for free or subsidized lunches. The two primary causes for hunger in the USA according to “Feeding America” are income inequality and food deserts. Many food banks have a large majority of their clients who have at least one employed person in the household. But after rent, mortgage and other bills are paid, there is not enough money left to provide for the household. Food deserts are areas where residents do not have access to a grocery story that provides healthy and affordable foods necessary for a healthy diet. The US Department of Agriculture defines a food desert as neighborhoods more than a mile from a grocery store in the city. 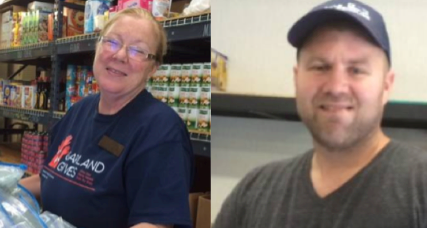 Vicki and Steven: Two hard-working volunteers from the Good Samaritans of Garland Texas. We all know that awareness of hunger peaks during the holiday season. However, during the summer months the children who receive free lunch at school are home. Summer, in my opinion is perhaps the key season to be giving all you can to our food banks and pantries. According to the Texas Department of Agriculture, nearly 2.3 million children receive free or reduced price, nutritionally balanced lunches at school each day under the National School Lunch Program, but only about 12% of these children have access to the Summer Food Service Programs during the summer. I’m happy to report that The City of Garland sponsors a Children's Summer Nutrition Program in partnership with area churches, recreation centers and apartments. Interested parties should call 972-205-3300 to discuss program requirements. We still have two months of summer left. Even one day is too long for a child in the USA to go hungry. Two months is unconscionable. It's an overwhelming problem that we have over 620,000 children in Dallas County living below the poverty line -- thousands of whom go to bed hungry at night. The researchers of that same study found that 183,000 children, enough to fill the Dallas Cowboy Stadium more than twice, are not getting enough food. (Source: The Children's Medical Center Annual Study of 2011). A good starting point for dealing with the problem is to ask: What can I do to alleviate the hunger of one or two people in my community? 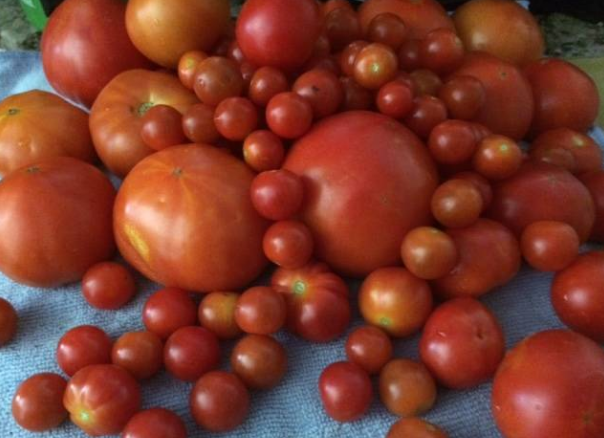 Will the 12 pounds of tomatoes that Charlie and I delivered yesterday feed 183,000 children? Of course not, but it will help to provide nutrition for one meal for approximately 24 people. If you multiply this effort by all of us who can afford to share food--not just at Thanksgiving and Christmas, but year 'round you can see how far those efforts would go. If I were queen every classroom in the Garland ISD would be in charge of a garden plot growing edibles to be given to our local food banks and charities. Call your local city government today and ask what you can do to help alleviate hunger in your community. Together it is possible to eliminate hunger in the USA and the world. The best starting place is right where you are. The best time is right now. The City of Garland sponsors a Children's Summer Nutrition Program in partnership with area churches, recreation centers and apartments. Interested parties should call 972-205-3300 to discuss program requirements. We still have two months of summer left. Even one day is too long for a child in the USA to go hungry. Two months is unconscionable.